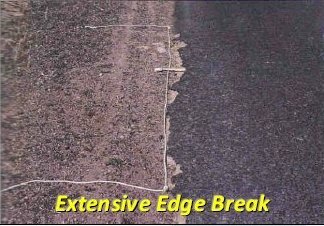 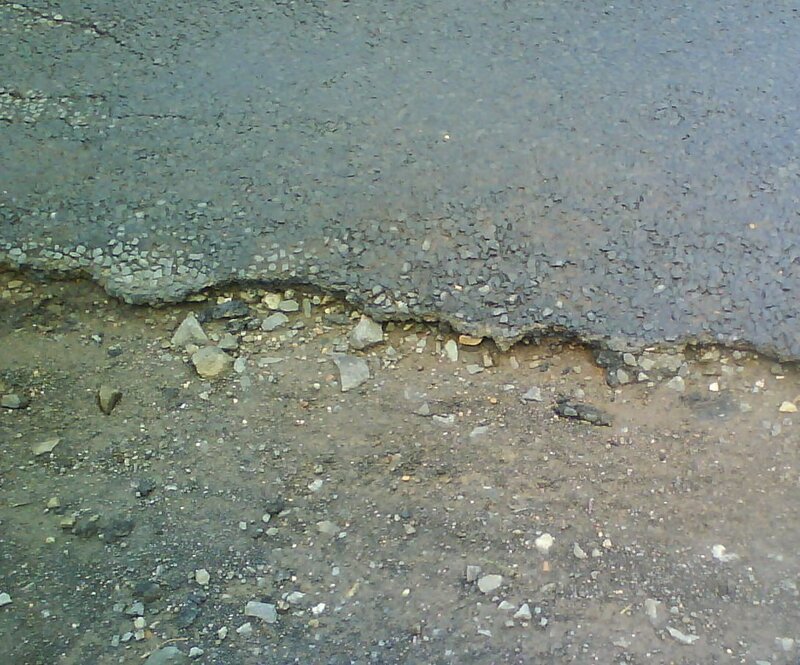 An Edge Break is a broken or irregular edge of a road wearing surface. 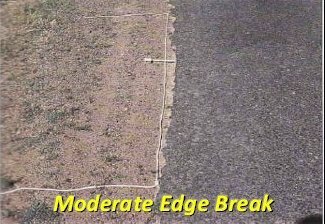 Edge breaks generally occur when the road shoulder is worn, there is inadequate strength of the pavement at the edge if the roadway or water enters the pavement through the shoulders. 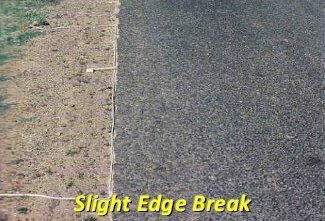 Significant edge breaks coupled with edge drops can result in tyre damage.